Historian and professor Evalyn A. Clark was one of Vassar's most renowned and loved teachers. Her life, which spanned the twentieth century, was devoted to probing and understanding the history within her lifetime and innovatively sharing her knowledge with generations of students who found her a challenging and devoted teacher and mentor. Vassar played an integral role in Clark's life. She graduated from the college in 1924 and returned to teach in 1939 until her retirement in 1968, and continued to actively participate in the Vassar community until her death in 2001. Clark was indebted to Vassar for her education, and in turn Vassar and the thousands of students she taught and inspired (of whom she never forgot a single name) are indebted to the education she gave to them. Born to British parents in Canandaigua, New York, on April 20, 1903, Clark grew up in a modest household with five brothers. Her academic brilliance was noted early in her public high school, and Mrs. Frederick F. Thompson, Canandaigua resident and Vassar benefactor, fully sponsored young Evalyn to attend Vassar. Clark excelled at Vassar (she mastered the ancient Greek dialect of Theocritus in one afternoon, a staggering academic feat), graduating in 1924 with honors in Classics. Winning a Vassar Alumnae Fellowship, Clark attended Johns Hopkins University, where she obtained her Ph.D. in Classics and Ancient History in 1927. Clark began teaching Classics and ancient history at Douglass College, an all-woman's school (now part of Rutgers), in 1927. Every summer from 1927 to 1937, the year she left Douglass College, Clark traveled to Germany, France, Italy, and Central Europe, where she witnessed and studied first-hand the development of the Hitler movement and rise of fascism in Europe. These travels contributed to Clark's mid-career transition from Classics to modern European history. A Social Sciences Research Council Fellowship supported Clark in her post-doctoral studies at Harvard and Columbia from 1937 to 1939. Under the guidance of such renowned historians as Arthur Lovejoy, Crane Brinton and Carlton Hayes, Clark studied in depth 18th-20th century European intellectual history and the rise of nationalism in the 19th and 20th century. While at Columbia, Clark taught contemporary European social history at Sarah Lawrence College. In 1939 Clark returned to Vassar, this time as an assistant professor of history teaching courses in the French Revolution, modern to contemporary European history, and European intellectual history. She was teaching a seminar on Contemporary European History when World War II broke out that year. Working to trace the roots of the conflict, she engaged her students in passionate discussions and debates instead of merely lecturing on the topic. Clark had strong opinions but was not inflexible, according to close friend and Professor Emeritus of Biology Margaret Wright. Elizabeth E. Eisenstein '45-4, one of her students, remarked, "When I took her contemporary history course in the 1940s she never concealed her loathing for both the fascist and communist regimes of the day. Nor did she shy away from sharply criticizing those writers who argued that one or the other of these regimes represented the wave of the future." Clark organized world affairs study groups both on campus and in the Poughkeepsie community to encourage active and informed participation in world affairs. "One of the greatest contributions we [at Vassar] can make", Clark had said, "is training for citizenship" and "a lifetime [of] civic activity." Clark herself looked back to 1940s as the "finest hour of intense effort, of a striving for intellectual integrity and of comradeship." As a teacher Clark was able to illuminate history and the history of ideas as a relevant factor of current life. Clark was made full professor of history in 1947, and in 1962 named the Eloise Ellery Chair of History. Clark's contribution to Vassar extended far from her professorship. 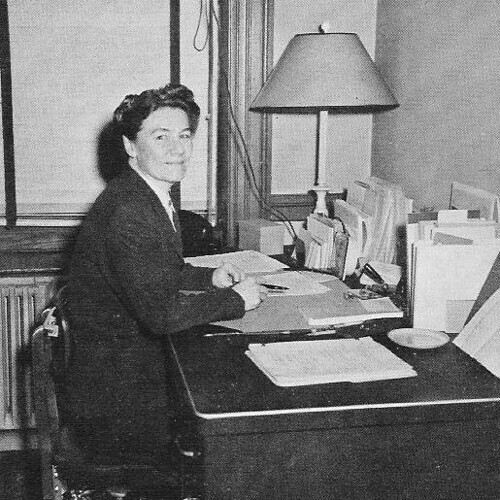 She was twice the chair of the history department, was the Associate Dean of the Faculty from 1951 to 1961, and in 1957 served as the Acting Dean of the College. In 1965 Clark was appointed the Chairman of the Vassar College Committee on Teacher Education (Five College Project), a study of Vassar's participation as a pilot college in the State Education Department's new system of teacher certification. Due to her efforts with the program, the Education department and the teaching certification program at Vassar were established. Compulsory retirement in 1968 was for Clark "the end of the universe." Clark's universe, though centered around Vassar (she lived nearby in the chocolate brown house on 162 College Avenue with friend and professor Mildred Campbell, and later with Margaret Wright), had always been expansive and world-encompassing. Besides traveling frequently and widely in Europe and Asia—she continued to do so until late in life—Clark had always been a dynamic personality beyond the gates. A member of the American Association of University Women and the American Historical Association, she was also a member (and President for two years) of the Berkshire Conference of Women Historians. "The Berks," as the Conference is called, was formed in 1936 by women historians of northeast colleges in response to a history conference which excluded women. Clark also published widely in academic journals, and during the war worked as an analyst for the Military Intelligence Division of the War Department. Clark was more than just a public figure of eminence. Generations of students, colleagues, and teachers had found in her a devoted mentor and friend. Margaret Wright, who lived with Clark from 1991, characterized her as a "royal friend, a workaholic, interested in people, [and] very warm…many people [initially] thought she was short or gruff, but they very soon came to know otherwise. She had a wonderful sense of humor." Clark's house on College Avenue was a constant hub of activity. Clark frequently entertained friends and former students at her home; many of these students, motivated by Clark's professorship, had become renowned historians in their own right. Clark was active into her mid-90's. She traveled with Wright to various locations—twice to England to pursue her interest in her family tree. 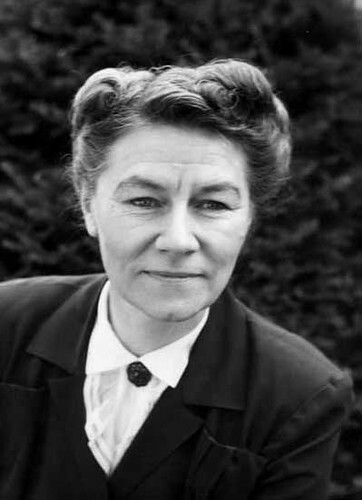 "She let you discover things on your own," Wright remarked about traveling with Clark; together they had traced the sprawling course of Clark's veterinarian ancestor through the hills and pastures of Yorkshire. Clark passed away on July 17, 2001 at the age of 98. Vassar has honored her life and work in numerous ways: the Evalyn A. Clark Symposium on Excellence in Teaching Fund in 1984 giving opportunities for scholars to speak about problems, techniques, issues of their respective academic fields; the Evalyn Clark Travel Fellowship to honor two Vassar students going to Britain for Junior Year Abroad; and the Evelyn Clark Chair of History. In October of 2001 a memorial service for Clark was held at the Vassar College Chapel. Her History department colleague David Schalk spoke for generations at Vassar in his closing remark: "Our community has immensely benefited from her wisdom and generosity. It is difficult to imagine the college without her. We cherish and honor her memory." Eisenstein, Elizabeth L. and David Schalk. In Memoriam: Evalyn A. Clark, 1903-2001. Memorial ceremony for Evalyn A. Clark, October 1, 2001, Vassar College. Poughkeepsie: Vassar College, 2001. “Evalyn A. Clark.” Poughkeepsie Journal Obituary. 17 June 2001. “Evalyn Clark- ‘The End of the Universe.’” Vassar Quarterly. Spring 1978. “News from Vassar.” May 1968. “News from Vassar.” June 1968. The Evalyn A. Clark Symposium on Excellence in Teaching, March 26 & 27, 1999. Poughkeepsie: Vassar College, 1999. “Vassar Views.” No. 63. April 1981. p.3. Wright, Margaret. Personal interview. 14 Nov. 2005.